Delicate, pale pinkish-mauve, early summer flowers with striking pink stripes and contrasting reddish-brown centres. 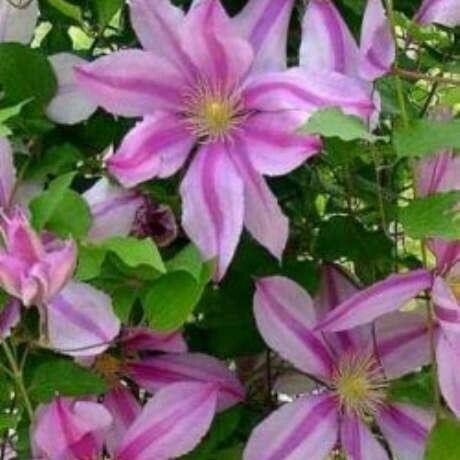 This large-flowered clematis is best grown on a north-facing wall or in shade since the pale pink flowers fade in strong sun. It is perfect for training over a pergola or arch. Supplied in approx 2 litre containers with buds/flowers in season.